June is Bustin’ Out all Over – With New Titles to Grab and Read! While we still haven’t gotten FIL’s apartment cleaned out for sale we’ve been making progress on our own home just down the hall. We’ve painted and June will see the completion of our update. I have a custom built 10′ 1″ wall unit coming in on June 5. It has one unit with book shelves, the center is the entertainment system and the last will have glass doors, glass shelves and a mirrored back and lights to show off my partner’s collection of glass, crystal and collectibles. We’ve waited 30 years to be able to do this and it’s finally out time. Just as it’s time for you to peruse the new multi-genre list of offerings on my page. Week of June 1st. – 9th. Indigo – Charlaine Harris /Christopher Golden et al. Week of Nov. 1st. – 8th. Week of Nov. 23rd. – 30th. Historic Route 66: With its signs for “New Dead Things,” the Biker Bunny Bin, and the Kontiki Pizza and Chinese Restaurant that serves only waffles – it’s kitchy, crazy, and fun. How appropriate that it would hold a place of importance to unconventional Tracy Eaton and her dad, aging Hollywood hunk, Alec Grainger. Their Route 66 adventures always included a stay in Tecos, New Mexico, but their regular stop at Lucy Crier’s Lunch Pail Cafe is now a thing of the past, since Lucy plugged her ex-beau and went to the big house for murder. That’s why it’s perplexing when Lucy, safely ensconced in her cell, is simultaneously seen dodging traffic along Route 66. Naturally, Alec uses that mystery to lure Tracy and her sweetie Drew back to America’s Main Street. But the road takes a darker turn when Woody Crier, Lucy’s smarmy son, turns up dead, and an even stranger bend when the FBI goes gunning for Tracy, calling her one of America’s Most Wanted. She has no choice but to go on the lam, but this time, the Mother Road provides no escape. 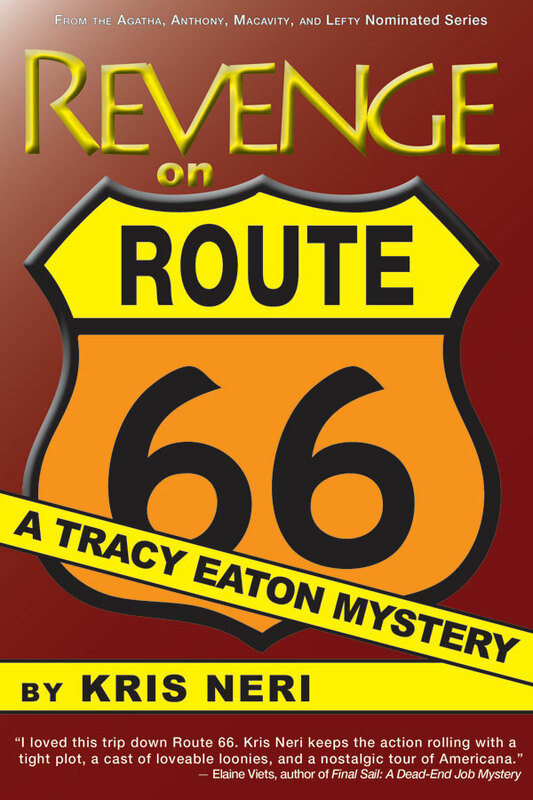 As the danger escalates, Tracy knows if she can’t cut through the web of secrets and lies shrouding her favorite haunts and the pasts of those dearest to her, everything she cherishes could vanish in a Route 66 minute. This story is being told in both the past (through flashbacks by Tracy and others) and the present. Drew’s movie star father cons her into joining him on a trip down memory lane on the Mother Road, Route 66. This road is famous in both song (Get Your Kicks on Rte. 66) and television history (Route 66). Tracy, her husband Drew, her father, and “Uncle” Philly are doing their best to solve murders, and find answers to a decade old murder. The situations can be silly, masterful, or downright crazy. But they all do what they can to survive. In the end everyone’s secrets will come to light (hopefully) and Tracy and Drew will be able to enjoy some time together without worrying about being chased by cops, robbers, and thieves. 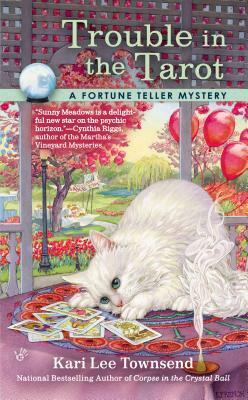 I’ve enjoyed all the Tracy Eaton books I can get my hands on. This latest one had me glued to my chair for hours at a time (potty breaks are definitely needed) and I was sorry when the book ended. FTC Full Disclosure: I received this book from the publisher who only asked for a fair review. 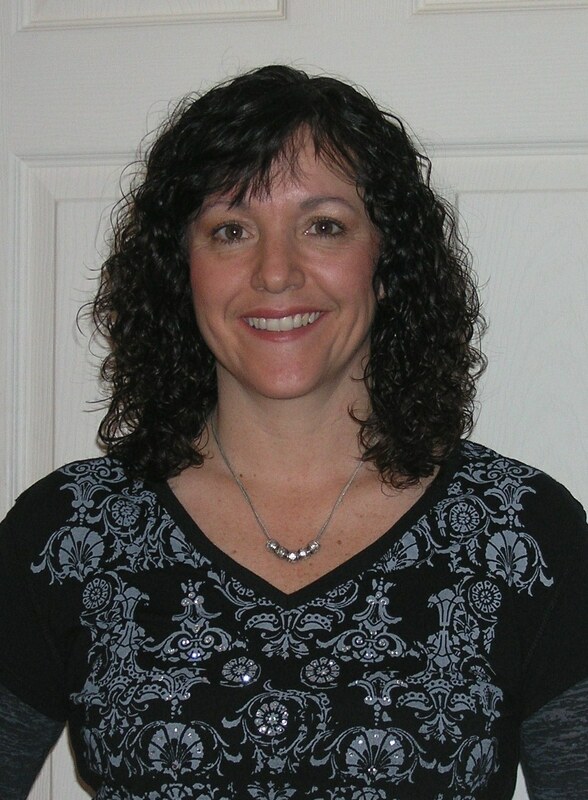 I’m taking another day off and turning the blog over to a friend and neighbor (we live in the same state) Award Winning Author Kari Lee Townsend. Granny Gert’s Top 10 Cookies for Everything! 1 ~ Perfect Cookie for Any Occasion ~ Special K Bars! I grew up on Special K Bars and proceeded to make them for my family and pass on the tradition. They were the first cookies I ever made. So easy, yet they look like they took a lot of time. I usually don’t share my cookie recipes, but since you all are just so darn nice, I decided to share the deliciousness J Enjoy! Melt chocolate chips (double boiler style) on the stove. While chips are melting, bring 1 cup Karol syrup and 1 cup sugar just to a boil and then remove from heat. Stir in 1 ½ cups of peanut butter until melted. Stir in 6 cups Special K Cereal until mixed well. Press mixture into 9×13 inch pan. Pour melted chocolate chips over the top and refrigerate until hardened. Cut into bars and enjoy! AUTHORS – if you have any additions or corrections of my list, please feel free to leave me a comment. Hiss of Death truly a dead read. 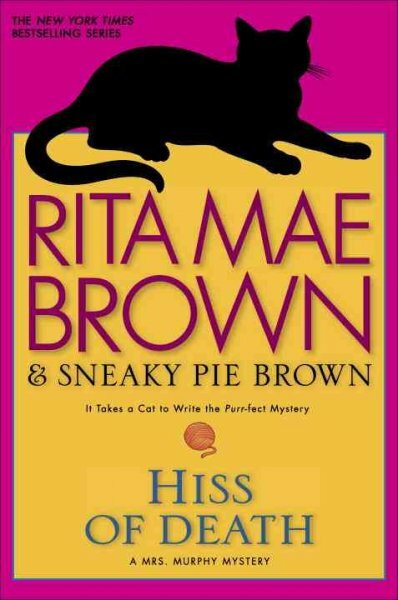 Beloved authors Rita Mae Brown and her feline co-conspirator, Sneaky Pie Brown, sow the seeds of an all-new mystery featuring Mary Minor “Harry” Haristeen, sleuthing cats Mrs. Murphy and Pewter, and that incorrigible corgi Tee Tucker. This time around, the onset of spring ushers in more than hay fever as the animal friends must come to the aid of an ailing Harry to sniff out the season’s first blossom of murder. Ah, spring! The redbuds open, the robins return, and the days lengthen. People’s spirits lift—as do those of their animal companions. As a wave of tilling and planting sweeps over Crozet, Virginia, Harry is especially excited: This year is her first harvesting grapes to sell. But then a health crisis sends her reeling into the forbidding world of hospitals and doctors, treatments and procedures. Surviving this journey will be tough, but Mrs. Murphy, Pewter, and Tucker will do their best to steer Harry in the right direction—as will her ever-helpful husband, Fair. Others will have worse luck: An especially promising nurse’s lifeless body is discovered without a mark on her. Then another hospital employee, who had seemed in perfect health, is also found dead. It’s clear there’s a mystery afoot—and that’s one thing Harry and her menagerie can’t keep their noses out of. Let me preface my coming remarks by saying. I truly love Rita Mae’s writing. I’ve been reading her books for over 30 years, starting with a 2nd paperback printing of Ruby Fruits. This new Harry book just isn’t up to her usual standards. It started slow, jumped into a murder that Harry gets drawn into, and spends the next 40 or so pages discussing cancer (an important subject of course but) to the exclusion of what I thought should be the story. Then she gets into politics, which we all know from the papers is that Virginia is not a happy state for Gays and Lesbians to live in. She just seems to be losing the sparkle that made the Mrs. Murphy series so much fun to read and try to figure out before the pets did. I will say though that her new series, which takes place on a ranch out west has all the things that made me love Mrs. Murphy. I hope she can find it in herself to pull it back together and bring the Mrs. Murphy books up to the standards that her fans have always expected and enjoyed.